Smoking may be a filthy, dangerous, and silly habit but, darn, it looks great on camera! Well, the smoke skirling up from a cigarette in the light does anyway. 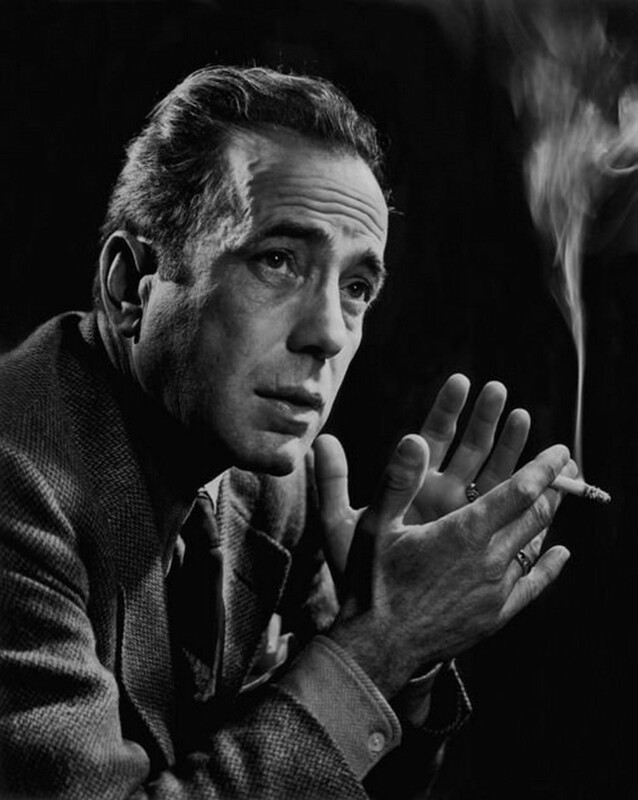 He did that, Bogart did. He always gave the public a good performance. My fave is his turn as Duke Mantee in “The Petrified Forest”. If you ever get here…we have to go to John’s Grill on Ellis Street…It is where Dashiell Hammett hung out and is mentioned in the Maltese Falcon…and they have the Black Bird there!